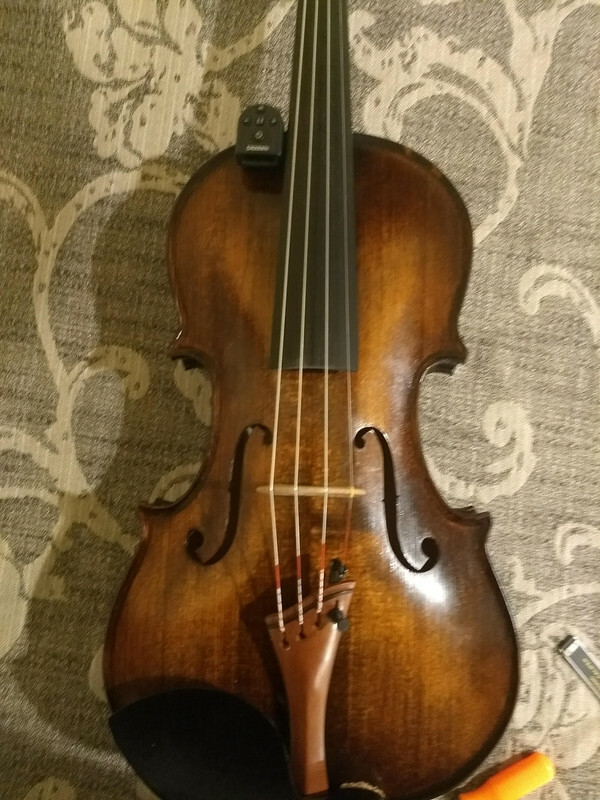 Edited: September 11, 2018, 9:53 AM · I decided to try and learn more about my instrument. I have pics here in case anyone that hasn't done this wants to give it a shot. I didn't have the special tool designed to replace the sound post. I improvised with a set of picks with sharp ends.It took about 4 tries to get the sound post back where it belongs. You have to line up the bevels on the post with the contour on the inside of the violin. I think maybe the scale of my violin might be a tad short. 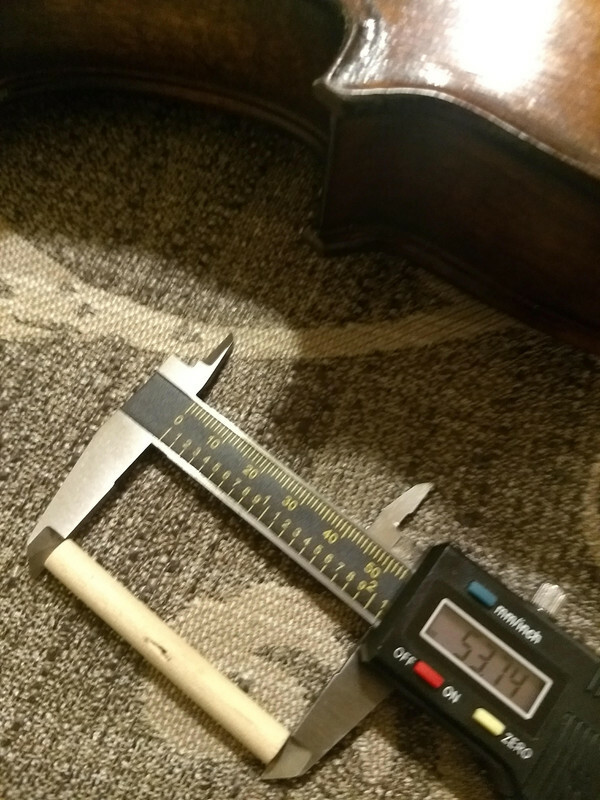 On both tail pieces, with the length adjustment maxed out the mm was marginal. 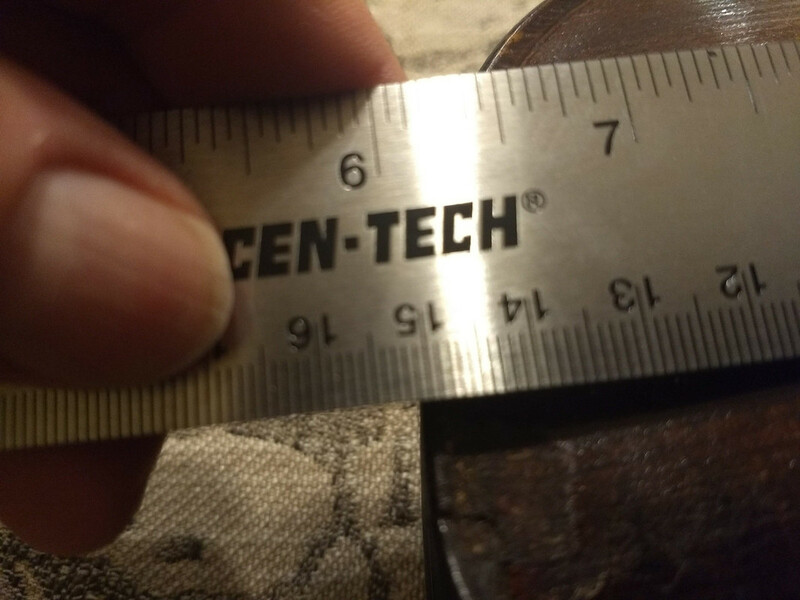 If I read my ruler correctly it was roughly 150mm from bridge to end of violin. I notice a huge difference in lower harmonics using the harp tail piece. I wanted a boxwood tail piece instead of ebony for the acoustic characteristics.This meant a contrast in the wood colors. Ok by me.I am very happy with the final results and it only took me about 45 minutes! Edited: September 10, 2018, 12:51 PM · To adjust my soundpost, I made one multitool out of a soft metal dowel. One end is sharpened to an edge and the other side is hooked for knocking the SP into the precise position I want. Harp tailpieces are nice on some instruments that need the extra afterlength, but your test isn't exactly scientific. 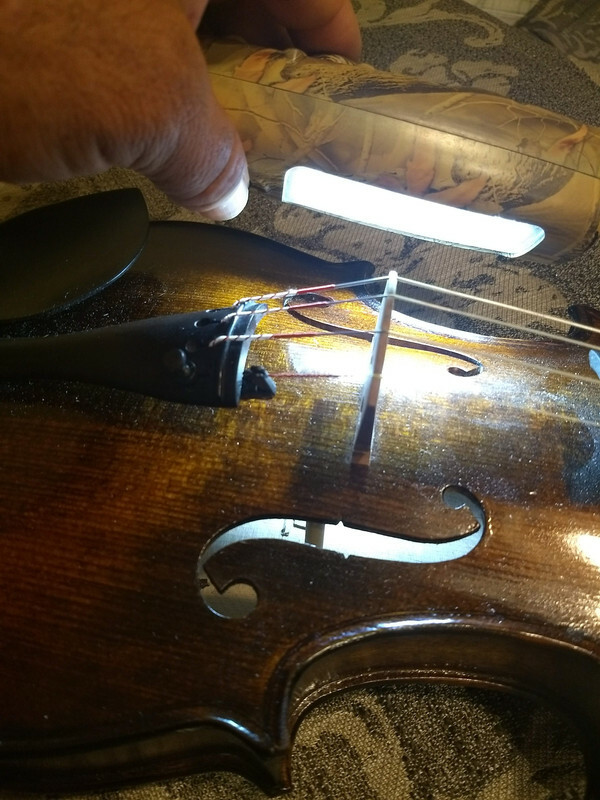 September 10, 2018, 1:09 PM · A little off topic, but it makes me feel nervous seeing those sharp metal edges so close to the body of the violin. But then, I'm not trained in wood working skills. September 10, 2018, 1:24 PM · @Cotton Mather, Great ideas. My "poker" set is a cheap item from Harbor freight. One of the tools in that set is a hook which can come in especially handy. I learned the post isn't easy to move once it's in place. You pretty much need to have it in the right position before you wedge it in there. And for anyone trying this- NEVER attempt to put any tension on the strings until the sound post is in place. This could collapse the front of the violin. September 10, 2018, 2:09 PM · a proper soundpost setter costs about $10. and a soundpost is easy to move around if there is no string tension unless it is way to tight. 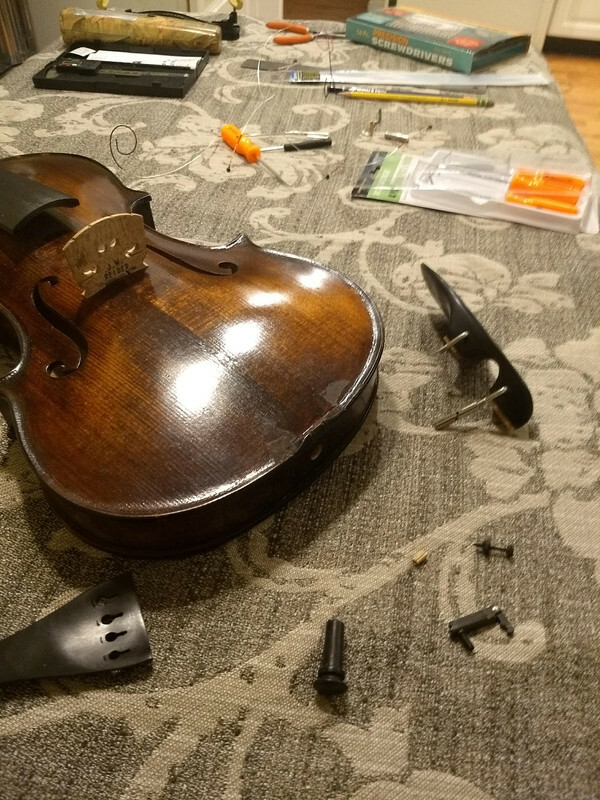 September 10, 2018, 2:30 PM · I'm all for DIY, but let's have a disclaimer here: Absolutely DO NOT learn to work on violins by practicing on a valuable instrument! September 10, 2018, 9:25 PM · I think that congratulations are in order, first of all. I would advice you a humble approach to the soundpost setting. I had to learn how to DIY, and from the beginning I have always been very happy about doing it myself. However, every time when I looked back I realized that I didn't. Setting the soundpost is not difficult to learn. Setting it well, requires many, many, many tries. So I think you will/would need to do it again to find its better placement and for that, I recommend you to buy a soundpost settler, which is very cheap. 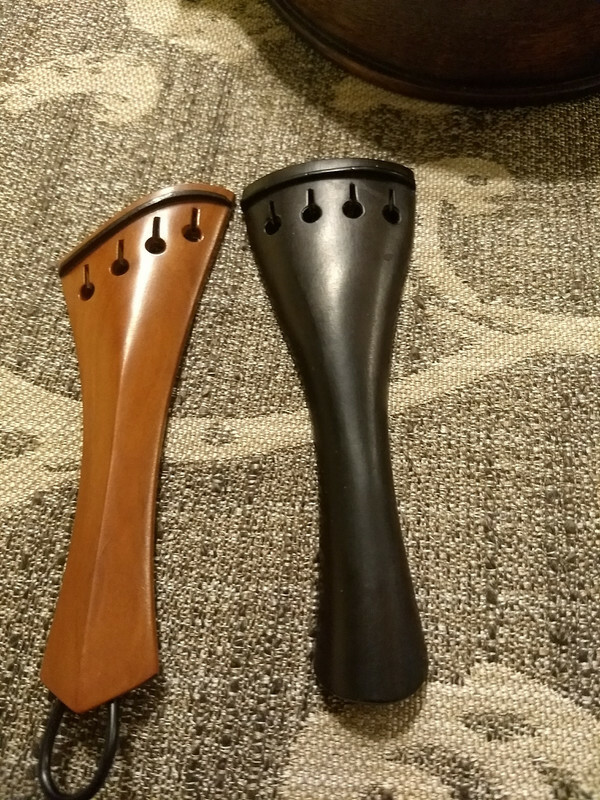 I'm not a fan of harp tailpieces, but they work well in many violins. However I think that the new resonance and harmonics you are finding comes from taking off the finetuners and using a wooden tailpiece. Your approach would have been more reasonable doing those things first: Using a normal wooden tailpiece without finetuners and checking if there are inbalances to correct with a modified tailpiece. Be aware that the nylon/synthetic tailgut stretches a little bit in the first days, so the sound will change in the incoming days. And we have said that already: That bridge is a goliath. It's unusually thick and rough... If you can get that bridge corrected (and that I do not advice to DIY!! ), with a good tailpiece, sounpost setting skills and all, you are on the way to get the best from your instrument. 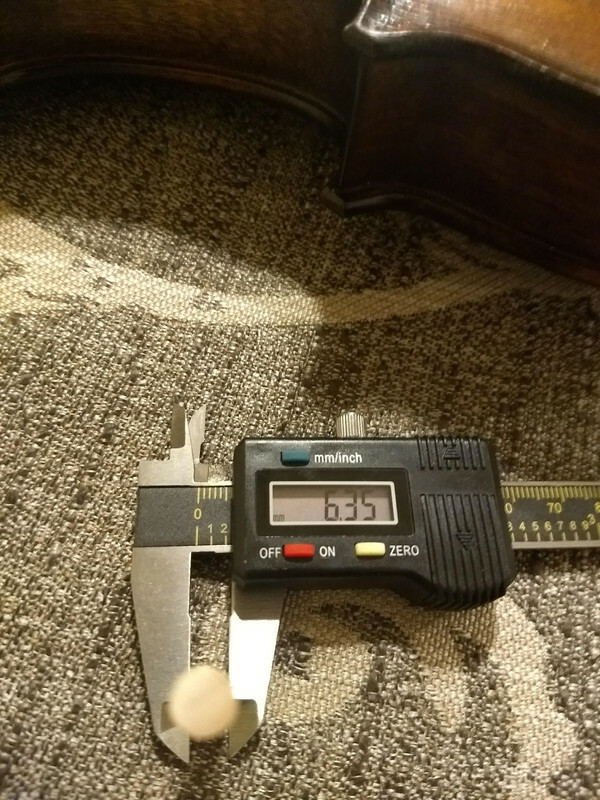 September 10, 2018, 11:54 PM · Perhaps your fingerboard is too short, and perhaps the mensur is much too long. Those are some low-slung f-holes. I also suggest that you get a plastic caliper. Mensur=195 mm or slightly shorter. Longer is bad, under 190 is bad unless you happen to be playing a del Gesu or a Strad, then it is a Long Pattern or "petite" and no one cares. September 11, 2018, 6:23 AM · If you are studying the violin, focus in violin playing, and don't play the violin maker. Many things can go wrong if you do that. Somedays ago one of my players tried to "improve" the sound in one of my violas, and the sound suffered. Now he is 2.000 miles away from here and local luthiers can't fix it because they don't have a 52 mm wide bridge there. If you get used to tinker with your violins, probably you will continue doing that as you move to better instruments. There are many cases of Strads and other precious instruments that suffered a lot in the hand of players who liked to change their sound posts everyday. You look for a doctor to cure you, you look for a mechanic to fix your car, look for a luthier to take care of your instruments. As someone who likes to DIY, I couldn’t agree more, Luis. Every major improvement in my instrument has been due to leaps in my tone production. September 11, 2018, 7:46 AM · For the vast majority of players, doing things to their violin should be limited to changing strings (which includes making sure the bridge is standing straight), and even then they need to be shown how at the earliest opportunity. Anything else and it's off to the luthier. September 11, 2018, 8:08 AM · Something tells me the OP isn't going to pay attention to this very good advice. September 11, 2018, 8:40 AM · I strongly disagree with this advice. The ideal violinist should also be a clever luthier. Repairs maybe not, but being able to fit a bridge and set a soundpost are skills everyone should have. Edited: September 11, 2018, 9:19 AM · I guess there's room for opinions on both sides of the aisle. If a person can do it ok I say why not? The only way to know this is to look at yourself and your aptitudes. I got into a similar discussion on another site about building computers. A few didn't want to be bothered with it and decided to pay a skilled builder.Some tried and failed miserably or had technical issues they needed help with. Many others took it on and did very well saving hundreds of dollars on a high performance PC or Hackintosh. Back to violins though. We are all as different as the personalities of violins. My schedule just won't let me get back to a luthier any time soon. I don't see the point in paying him to do something I can do in less than an hour and save a day of my time.I'll likely be planing my bridge in the near future and buying a sound post tool. Check this link out- I might be making my own. Doesn't seem difficult. I don't think I have open seams. I could check by blowing smoke into the violin cavity. I'll just need to make sure I don't catch my violin on fire :) I dunno. I don't over value my stuff. If a train ran over my violin I would just go buy another one. To me everything is pliable.I don't feel I'm wasting time I feel I'm saving both time and money, but that's me and maybe not you.If things go really bad for me I have a few inexpensive violins to hold me in a pinch. Take a job in a violin shop, spend the first year sweeping the floor and learning to sharpen, and then the next couple of years cutting bridges and setting up fiddles. Then, and only then, will you be able to fit a decent bridge and post. Most of you who are sugesting that this skill is one that most/all competent musicians should have have never seen a proper bridge cut. I had a young lady come into the shop who wanted to learn these things. I asked her what she wanted to learn, and she said that her teacher had told her that cutting a bridge was simple and she should learn how to do that. I let her watch me cut a bridge from start to finish and then asked her if she wanted to do one now. Her reply was "no" and agreed that the first thing to do was learn to sharpen a block plane and learn to flatten things with said plane. And pegs. 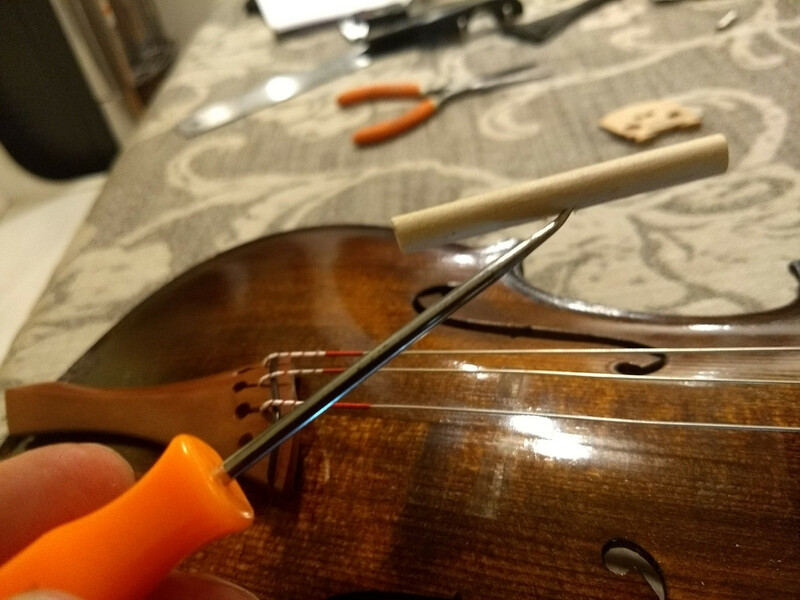 She needed a new set on her violin. Edited: September 11, 2018, 12:08 PM · Thanks to Duane for being a voice of sanity. The question for me is pretty simple: respect for expertise and skill, or little respect? I have devoted my life to playing the violin at a high level, which is a specific skill requiring many, many thousands of hours of practice. 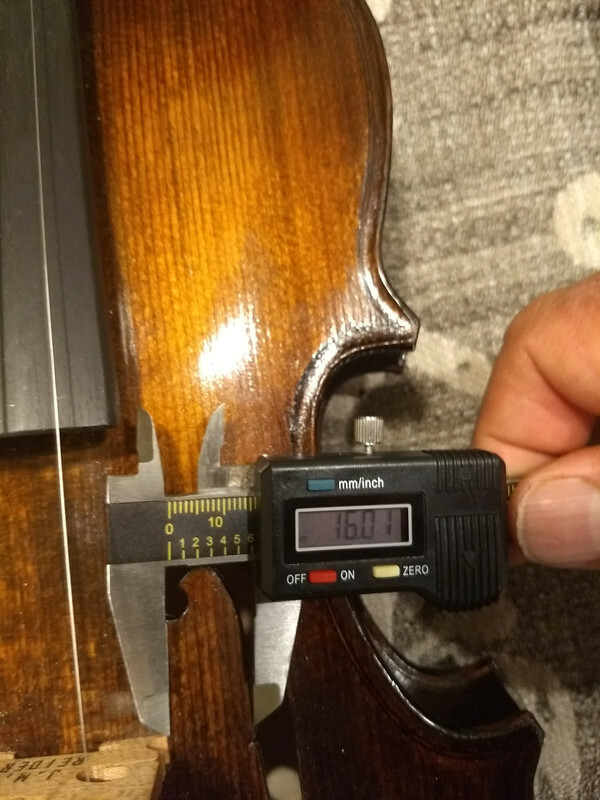 The skills required to do the precise work of repairing and maintaining instruments in the violin family are no less specific and require no less practice to do at the highest level. 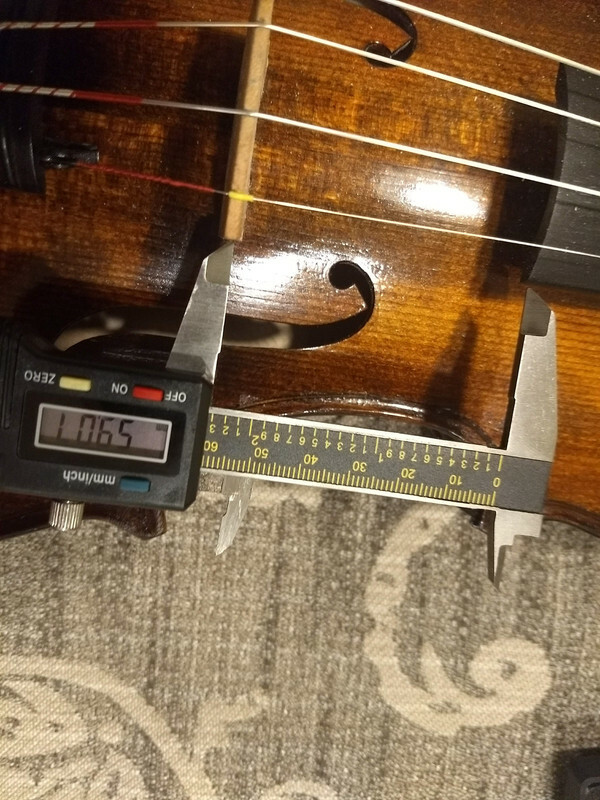 Not all violinists are world-class soloists and not all luthiers should be working on Guarneris; there is a sort of pyramid for both with few at the top and many at the bottom but even at the lower levels, the skills required should be respected. I don't try to diagnose or treat my own medical conditions (beyond simple cold or allergies, which one might liken to changing my own strings); I leave that to the people with eight or more years of post-college medical education. And I don't fit my own bridges. It's silly to say that everyone who plays a string instrument should simultaneously be acquiring what are very different skills with a very different apprenticeship track. Edited: September 11, 2018, 2:56 PM · I think the other issue, aside from ability/training, is one of time. How much time do you want to spend working on your instrument, instead of getting better at it. September 11, 2018, 7:56 PM · Again, it's awesome if someone wants to learn, to develop a new skill. I'm all for that! But don't do it on a valuable instrument. References to medicine have been brought up, so here's another one: When you're learning to be a surgeon, you don't start out cutting patients open and practicing on them, you use anatomical models and dead bodies. And that's only after you've studied a ton of theory on the subject! https://trianglestrings.com has some really good references (I used them myself before! ), it's a good start. Edited: September 12, 2018, 6:55 AM · I would love to work in a violin shop. I think that would be uber cool. Believe me, if I ever come across a valuable antique violin I doubt I would attempt anything with it. I don't own anything that nice. For me this is good clean honest educational fun and it only took me 45 minutes for this fix. Not a lot of time really. If I decide to try cutting bridges I fully expect to mess the first 10 or more up and that's ok. I think understanding my instrument makes me a better player. I don't see this as insane. I can't be the only one doing these things. This isn't a human body or a sin of any kind. Not as much at stake here. It's simply a violin. I don't say this in a bragging kind of way. I have always been very good with my hands and with tools in general. If I had no familiarity with any of this then my approach would have been different. I see changing a bridge or tail piece as a fairly simple procedure. I'm not challenging years or experience or an establishment. No rebellion of any kind here. No axe to grind against anyone or anything. September 12, 2018, 1:23 AM · My response was more directed at Cotton Mather. Apologies for any misunderstanding. September 12, 2018, 5:20 AM · "I see changing a bridge or tail piece as a fairly simple procedure." It is not. When you change the tail piece the tone may suffer due to differences in the tailpiece material and weight and, more important, to the string afterlenth. To do that you will have also to release the strings and bridge, causing a soundpost fall or dislodgement. For carving a bridge, you have to choose a good one, good makers are obssessive about that, they will spend a lot of time inspecting the bridges prior to get it. When they get it in bulk, a lot of them will be discarded. Then you have to have good and sharp tools for carving the bridge. You have also to match the bridge to the tone you are aiming for the instrument. The bridge area in the top may be quite irregular, with dents, compression, etc, that may make fit chalking the bridge difficult. 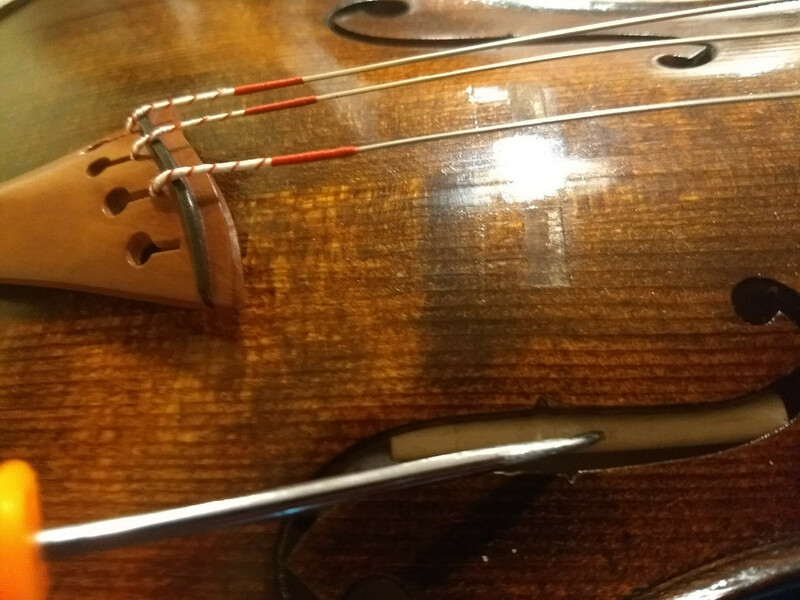 If you make a bridge with a poor fit, it can damage the top of the instrument. If you are interested in violin making, get some books, the best one is THE ART OF VIOLIN MAKING. Edited: September 12, 2018, 7:16 AM · @ Mary Ellen Goree Thanks.I should have read the thread closer. I see your comments more directed now at the idea that anyone could be a good luthier in a short amount of time. I agree with the opinion that obviously this is taking too much liberty with a respected trade. It might have been the wording of the OP as well that made the post appear to say that.I don't think he believes that anyone who plays can be a good luthier. I certainly didn't intend to convey that idea,though I would part ways with those who say we should never attempt anything on our violins. @LUIS CLAUDIO MANFIO- I have a confession to make. I've already attempted to carve a bridge. I didn't have the right tools for it. I was able to make it close but not satisfactory. "Simple" was a bad selection of terms on my part. It's work for sure.I think I can do it. The most difficult part is matching the curvature of the violin. I can do that. You guys never need to worry about job security. I mean, there's people like me who might mess up and need help later on. Some violinists can't change a printer cartridge. We live in a throw away society. People are accustomed to instant gratification with minimal effort. Most buy things they want and pay someone to fix their stuff. Most of us would starve if given a knife, sent into the woods and told to feed ourselves. September 16, 2018, 12:56 AM · Fitting a bridge is simple. With the right tool everyone can do it. See this video! September 16, 2018, 2:22 AM · @Bart Meijer: Hilarious, thanks for linking the video. Hooray for power tools! That last process has one of my more sensitive meters here going off.